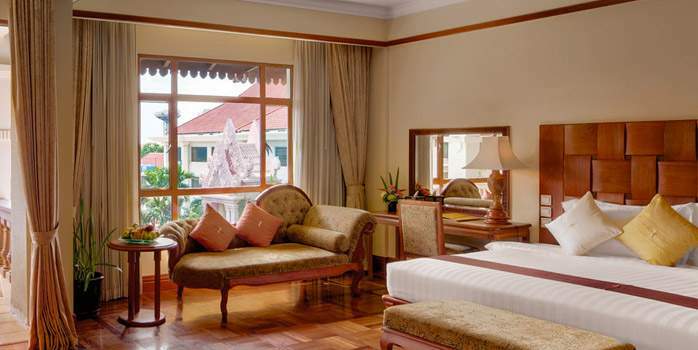 The Sokha Angkor Hotel & Spa is one of the most eminent hotels in Siem Reap and is situated between Angkor Wat and downtown Siem Reap. 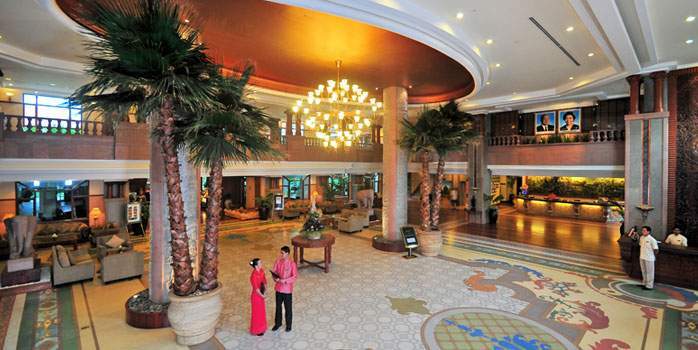 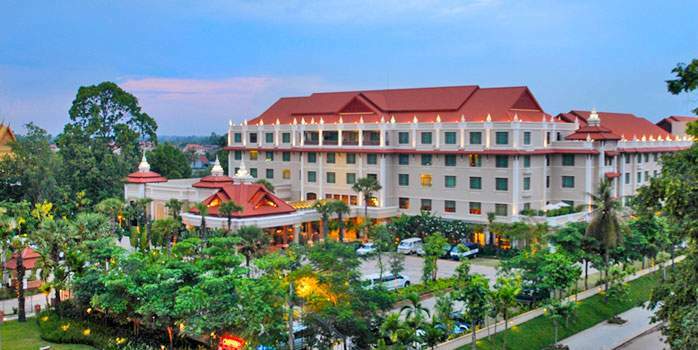 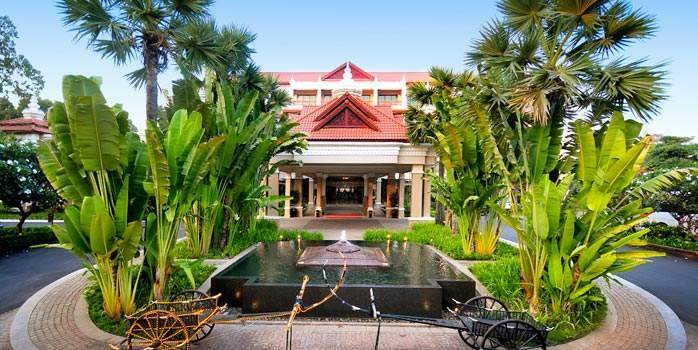 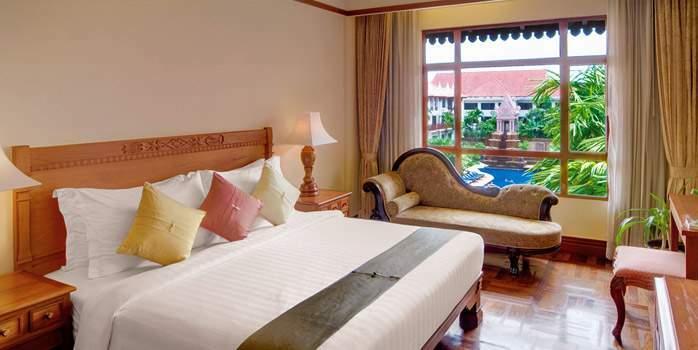 The hotel is strategically positioned and it is a perfect base for golf holidays in Cambodia. 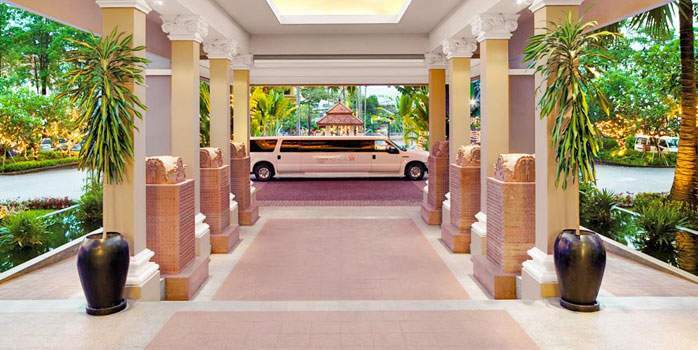 The waterfall at the swimming pool is a centrepiece of the resort and this is the only Cambodian hotel with a saltwater swimming pool. 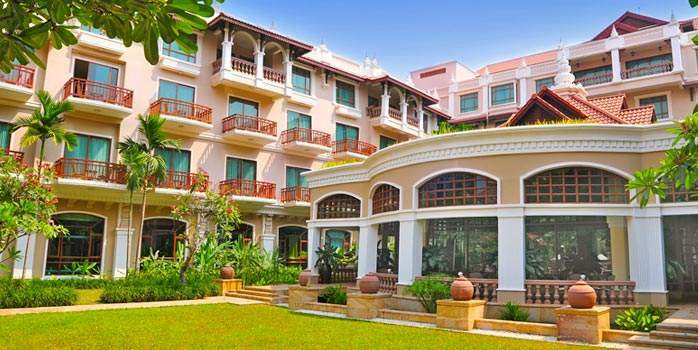 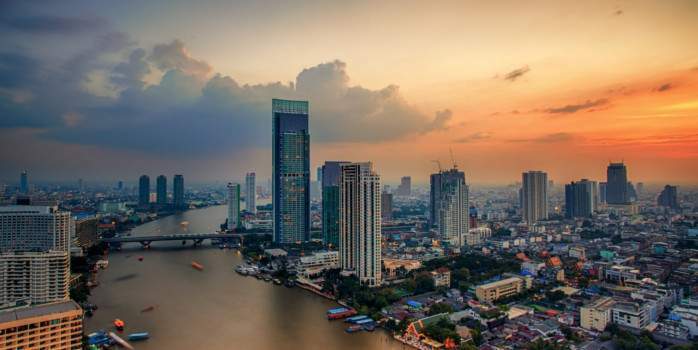 Furthermore, there is a large selection of dining options including an authentic Irish pub to settle up after a long round of golf, considered the best in Siem Reap.